All of our off-road motorbike schools are primarily designed for newcomers to Off Road or riders who'd like to enhance their skills. These schools are also set up for people who want to try something new to see if they like it. In fact you don’t even need a motorbike licence to come to our schools. 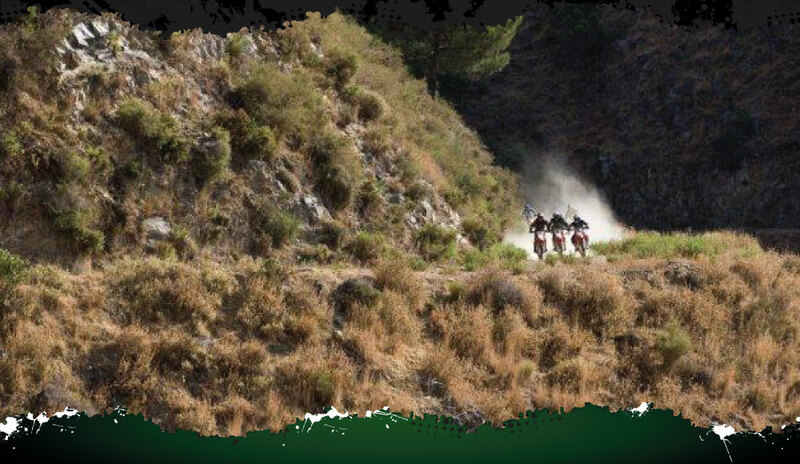 We run Guided off-road motorbike tours in Andalucia Spain, for the more Adventurous,.. we can offer you trail rides up the Andalucian mountains on our 250cc ajp enduro/trail bikes, we can also supply smaller 240 cc ajps with a much lower seat hight, great for the lady's. this is completed with our very own guide so you wont get lost and you will get some tuition and helpful tips on the way should you need it,..or we can also offer you a motocross holiday using one of our motocross bikes 250 cc ktm or Suzuki four stroke machines,or honda 125cc two stroke, or again we have two 240cc ajp motocross bikes with the lower seat hight. for more information use our new website where you can see some pictures of our fabulous accommodation and pictures and videos of past riders and trails.